After looking at Artemis' Hallo code on the TurtleStitch gallery, I was intrigued by how she was able to fill in the flower petals. I thought to myself, This never came to mind! I didn't know it was possible! I decided to code a circle and fill it in. I was instructed to code two different scripts so they could run at the same time, therefore, creating gaps that will be filled in. 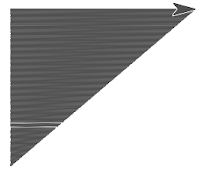 The two lines look like functions I have done in Calculus, and (-121, -91) is the point of intersection. Great this feature of Scratch is finally documented on the internet. I don't think it translates easy to stitching. An idea that comes to mind is to let the turtle "record it's x-position and y-position" when it makes the move. 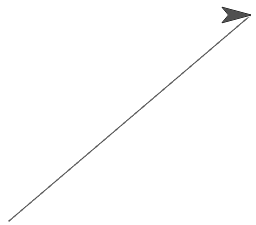 You could use the left "glide" for the starting points, and the right glide for the end points. Once you these lists (four of them: x-values start / y values start / x-values end / y-values end) you can instruct the turtle to stitch between starting and end points. Send you an email about that. Cool, that you found a way to fill a shape by gliding parallel! I think the programms do absolutely the same, but it is a matter of display, which make them look differently. The blue lines are just the displayed stitching points, which are very dense besides each other.